When it comes to home design, it’s well-known that the front door can say a great deal about the surrounding home and those living there. 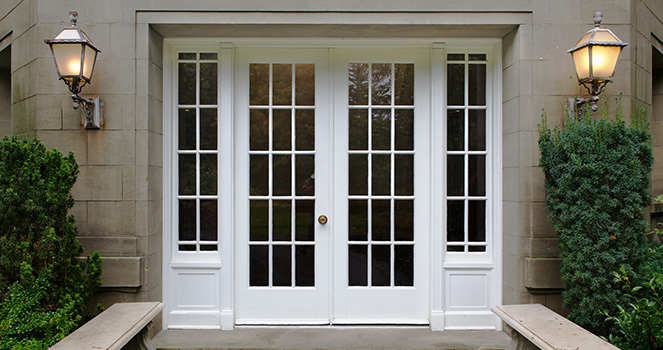 Therefore, when shopping for entry doors in Louisville, KY it’s important to choose a model which best represents your ideals or sends a message that you can get behind. While this concept seems rather abstract, there is in fact a deal of psychological research existing on the subject which could help even the most clueless shopper grasp the implications. Here is a brief overview:The part of an entryway that has the largest statement is, in fact, the color. Whether it is vivid, cool, muted or completely neutral, each tone has something to say about the homeowner. Bright colors such as red, yellow, pink or orange tend to leave an impression of a fun, outgoing, extroverted person, who welcomes guests warmly into a vibrant space. Cool colors – blues, greens, and even purples – leave guests with a feel of serenity and relaxation, and invite them into a sphere of calmness in which to lay back. Neutral tones such as blacks, whites, grays or tans create a traditional and respectable tone that embraces all different walks of life, a sense of elegance combined with the ability to fit in anywhere. The shape of a door can help to enhance these aspects – a blocky, wide shape creates a wider entry space which can be more inviting, while smaller, curved shapes create a charming almost antique look that promises a quaint visit.There are many aspects when it comes to the design of a front door, though most people do not realize this while making their decisions, just as they often fail to realize the importance of this space as the portal into the rest of the home. When looking for entry doors in Louisville, KY ensure that you choose one that fits your personality.